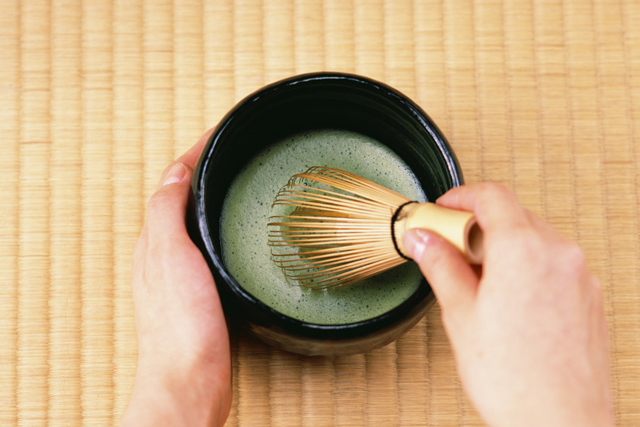 Learn the basics of chado and get hands-on experience making a bowl of matcha tea. 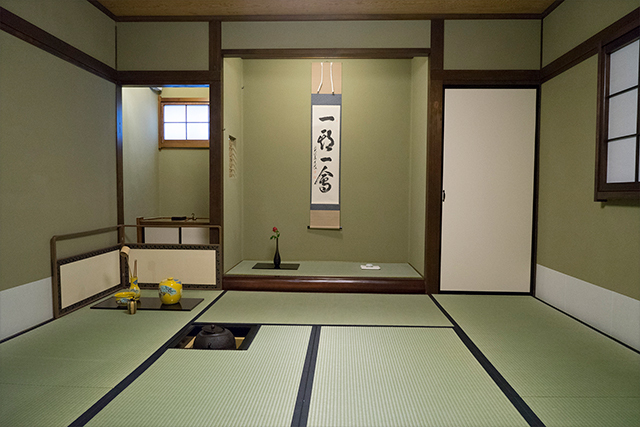 Room: An authentic tea room with tatami mats (We provide you a cushion to sit on and a little table for the hands on lesson upon request) . ★Please note that the reception starts 10 min. prior to the time and workshop starts at the indicated time. If you arrive during the main ceremony, which starts about 15 min. into the workshop for about 15 min., we may ask that you to wait until the ceremony is completed to avoid disturbing other participants. Therefore, we ask that you select the time carefully. We appreciate your understanding. This 90-minute workshop is designed to introduce the basic aspects of chado (the way of tea) as well as to provide an experience of it in an authentic tea room. Also, we provide a short movie to introduce chado so that participants can comprehend its essence in a short time. In the hands-on experience, not only do participants learn how to prepare a bowl of matcha tea but also they experience the roles of host and guest as well. 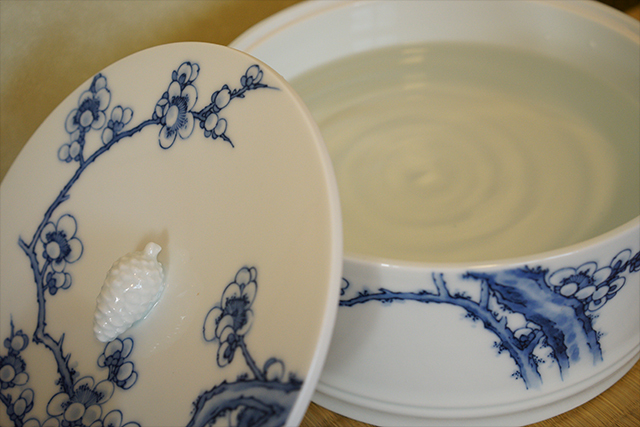 10-minute introduction video while sipping a cup of cherry-blossom tea. 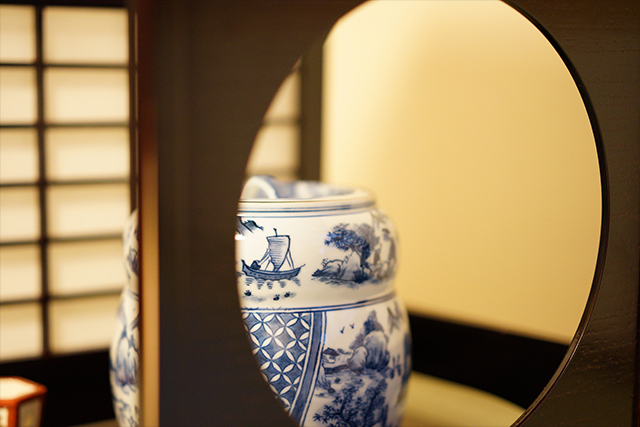 learn to appreciate the utensils and tea bowls used in the ceremony. 45-minute hands-on lesson on how to make a bowl of matcha tea and serve the tea to a guest as a host and to associate with the host as a guest. A cup of sakura cha (cherry-blossom tea), two kinds of matcha tea (koicha and usucha), and three kinds of Japanese confections. DRESS CODE: Casual. Please note that miniskirts, tight pants, and bare feet are NOT recommended. KIMONO RENTAL: If you would like to wear a kimono, we recommend to rent kimonos from a kimono rental shop, “Vasara” (Senso-Ji shop and Asakusa Shop), located a 10 min.- walk from our tea house. Please refer the website below for more information. 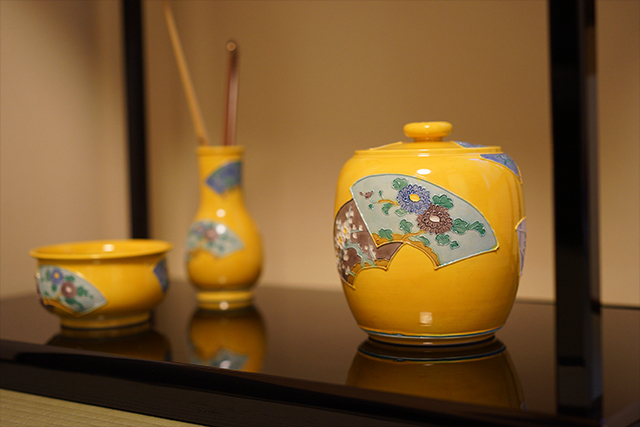 Please note that you would need to be at the rental shop at least 1.5 hours before our tea ceremony workshop starts. We also send you a map from the rental shop to our tea house upon the request. The kimono rental set including a hair-set and accessories starts from 2,900 yen + tax. Please note that the tea room is located on the second floor. Since the house is an old Japanese style building built in 1940s, the staircase is very steep. Unfortunately, we are not equipped guests with machinery to assist going up. Since this is an old Japanese house built in 1940s, there is a certain weight capacity. Despite the number of people we indicated (8 people), there might be a situation that we may ask your group to change the time schedule in order to balance the weight limitation for your safety. 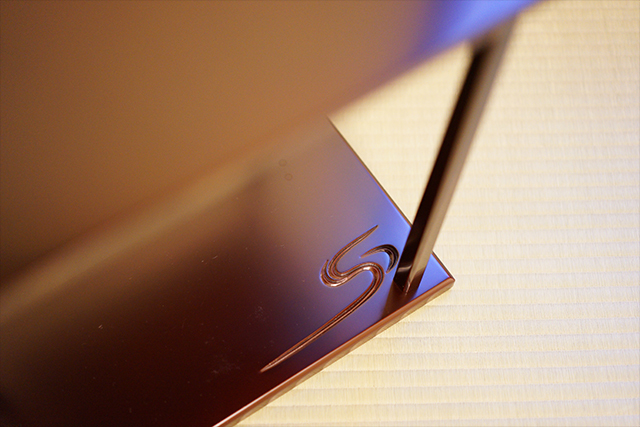 Please let us know if you would like to discuss this further by email [info@shizukokoro.com] or by phone [81-3-5830-3449]. Please inform us if you have any food allergies in advance. We will try our best to accommodate your needs. Please note that this workshop is designed for participants 10 years old and above. Hatsugama, the first tea gathering in the New Year, is celebrated in Chado. 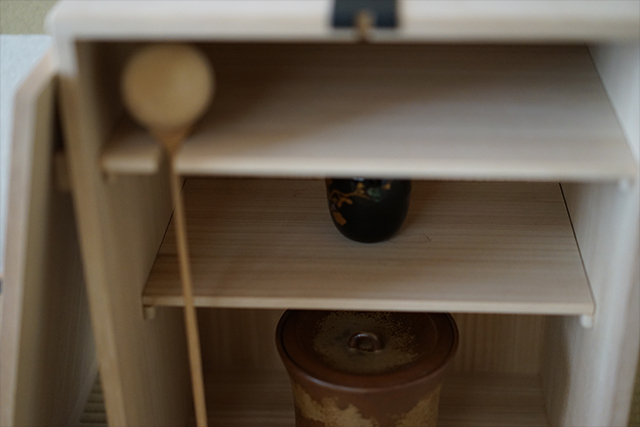 Therefore, more formal implements should be used for the event such as Daisu (a type of display shelf for advanced practitioners). In the coldest season of the year, Yobanashi, one of the Chaji gatherings, is held. Yobanashi is conducted in a very exotic atmosphere, with candles in a dark room. It is a nighttime gathering but we recreate the scene in the daytime for the workshop. 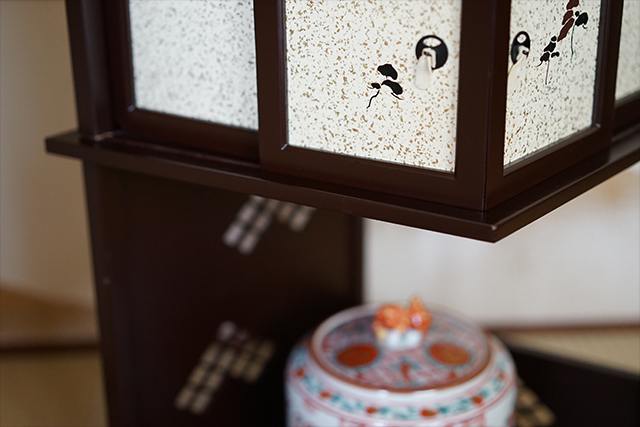 In order to hint that early spring has come, a Tsurigama (a hanging kettle) is used, which expresses spring's gentle wind with its charming swinging. March 3rd is also known as Girls' Day. So, some implements that hint at the special occasion would be used such as Tsure Zure Dana (a display shelf with an ornamental door). Green becomes greener, and all living things in the mountains become active. May reminds us of Mother Nature. We express the feeling with implements such as the San Un Dana (motif of mountain and clouds) shelf. June is known as the rainy month in Japan. Instead of being bummed out because of the weather, we express gratitude to the water through ceremonies such as that conducted in Meisuidate, a temae (tea-making procedure) introducing Meisui (fine water) carried from a special spot. 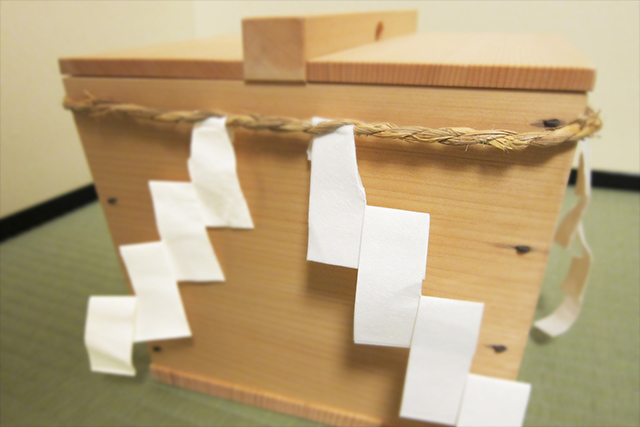 July is the peak of the summer season, so the Hira Mizusashi (wider water container) will be used. 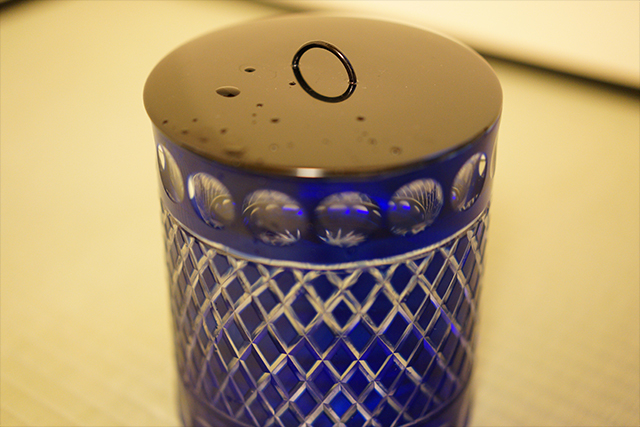 Since it reveals a larger surface area of water when its lid is opened, it gives guests a cooling feeling. The hot and humid season continues. The use of implements and utensils made of glass represents coolness and beauty of light reflecting sunbeams. It even gives us a reason to like the season—something to look forward to. This is a moon month because the weather makes it the most perfect time to appreciate the moon. 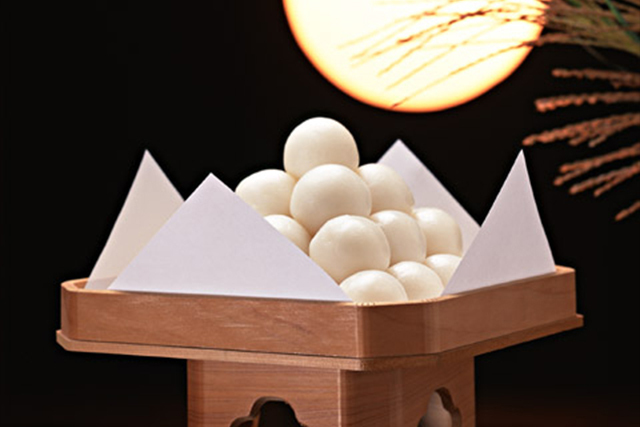 While appreciating the moon, we also display dumplings to pray for a good harvest; the moon has been an object of faith since ancient times. 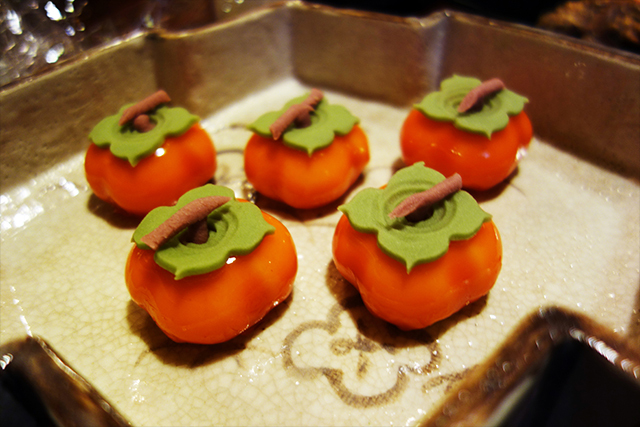 In Chado, October is called the month of “Nagori” (a farewell) or “Wabi” (pure mind or the beauty of simplicity). 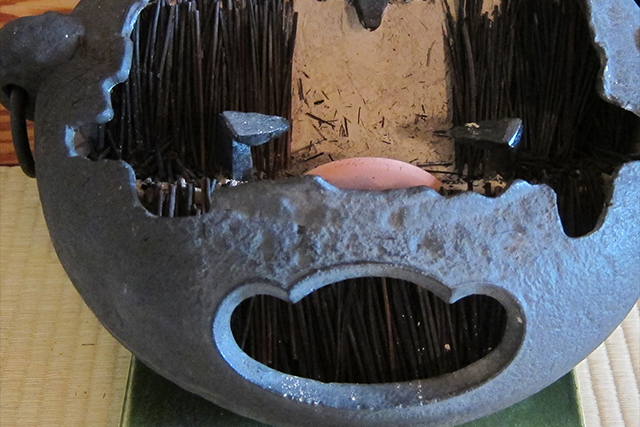 It is the last month in the year to use a Furo (brazier) before exchanging it for a Ro (sunken hearth) for the cold season. Therefore, only utensils and flowers getting old are preferable to use to remind us of the sorrow of parting. This is a month of red leaves. 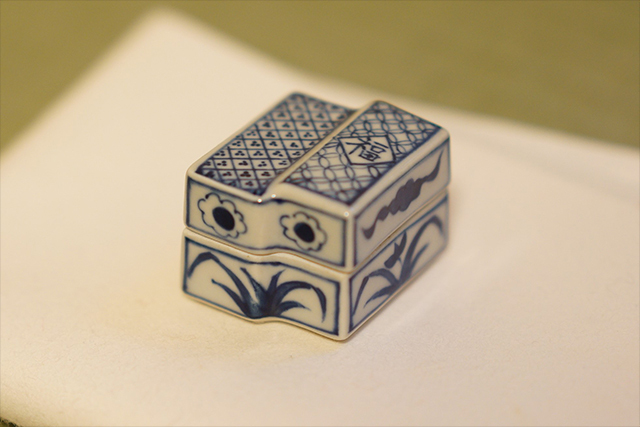 It would be tasteful to use utensils that remind us of a trip to appreciate nature, such as a Tabi-dansu (portable chest for travel), an ornament for displaying and carrying utensils. 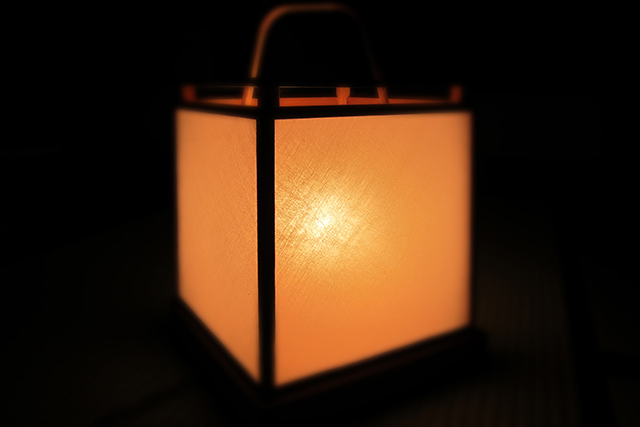 The theme that is often used for tea gatherings in this season is “Seibo” (the year's end). Implements portraying symbolic seasonal items or events held at the end of the year would be used to enjoy the season by remembering the good times that happened in the year and to appreciate the opportunities that were given.